Filmmakers: Is It Time To Think More About NOT Moving The Camera? It seems that almost every other month, a smaller, cheaper, lighter gimbal-stabilized product or drone is released for those of us working in the world of motion to allow us to fly (literally, in the world of drones) our cameras all over a set or location. Moving cameras has become an obsession for many of us, and it’s about time we asked ourselves why, and what benefit it brings. 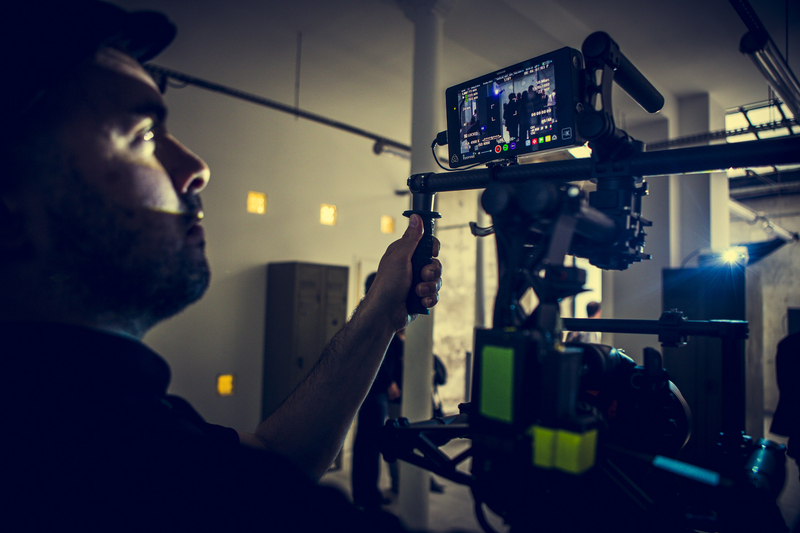 The last few years have seen a market explode with products designed to help us move our cameras around to create all sorts of previously, whether it’s a Freefly MoVi, DJI Ronin or even the small DJI OSMO that people seem to be enjoying. This is great – it’s exactly what today’s generation of independent, boot-strapped, budget-constrained filmmakers get to enjoy that the previous generation didn’t. It raises production value with smooth motion, allows us unique view points, and allows cameras to be stabilized through a take where a Steadicam may have called for a cut or repositioning. There is a side effect here though – many of us have become so consumed with the wonderful, smooth, high-production-value-look of gimbal stabilized cameras, that we’ve forgotten an important part of the process – asking WHY we should be moving the camera in the first place. While we’re on the topic of camera motion as a means to purely drive story and tension, I would be remiss to not recommend you check out Tony Zhou’s wonderful analysis of David Fincher (himself, a huge fan of locked down shots). Tony (the genius behind Every Frame A Painting) provides a wonderful insight into the mind of one of Hollywood’s best. Remember – next time you think about flying your camera around a set “to add some motion in”, think about Fincher’s words: “It’s what you don’t do, not what you do do”. David is a photographer, videographer, video editor and writer, based in New York since 2012, originally from London, England. His motion and editing experience has led to work with a range of international clients. David recently toured Europe and Australia with Vincent Laforet’s aerial project “AIR”, where David shot commercial video content for G Technology, Canon USA and Canon Australia. As well as providing commercial video content, he works closely with a number of New York-based photo and video industry leaders and educators, including Peter Hurley, Emily Soto, Lindsay Adler, Erik Valind and Vincent Laforet. David’s focus for personal work is the intersection between candid street and fashion photography. For the last three years he has gone behind the scenes at New York Fashion Week to document the energy, chaos and magic of the preparation leading up to the shows themselves.